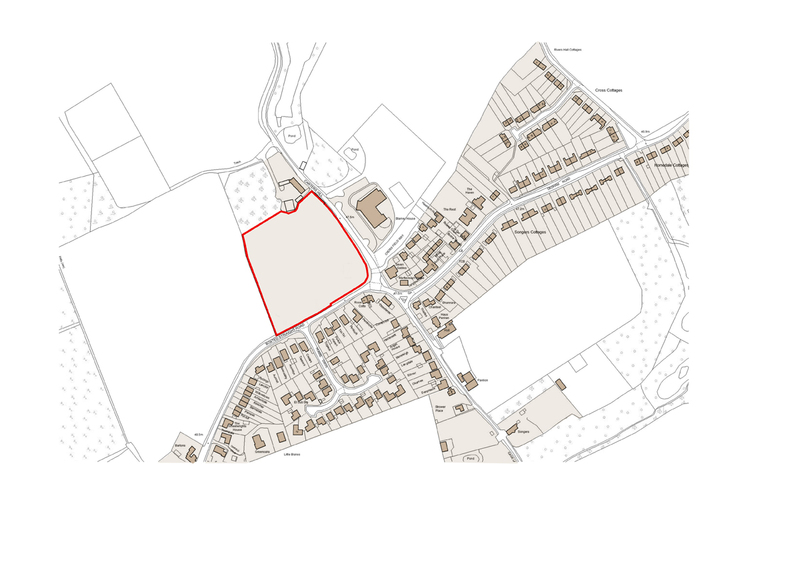 Planning permission has been awarded to turn this unused and dilapidated industrial estate into residential development consisting mainly of starter homes and affordable housing. 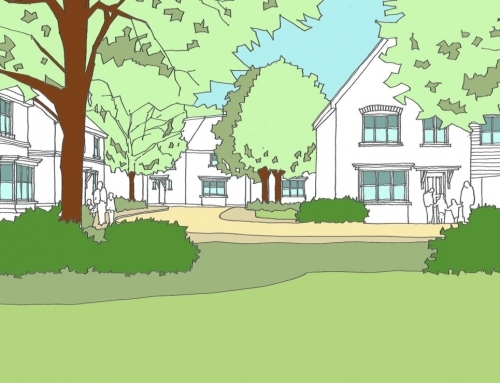 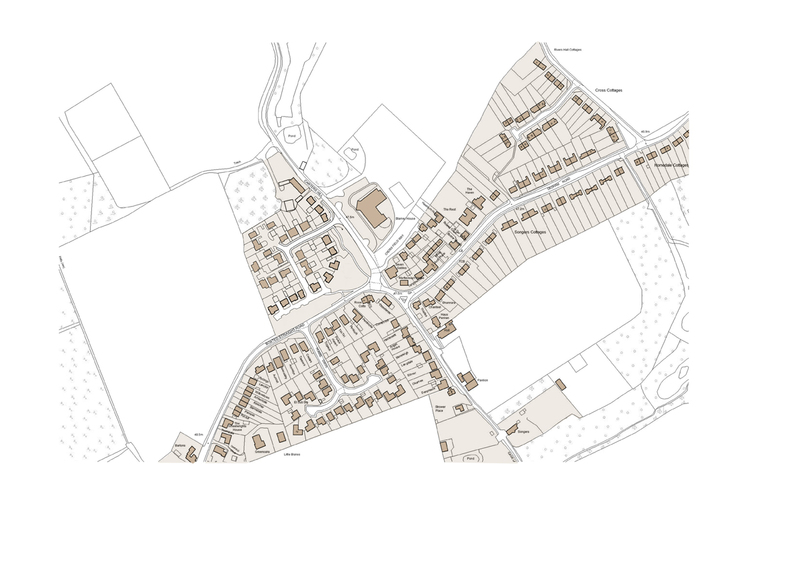 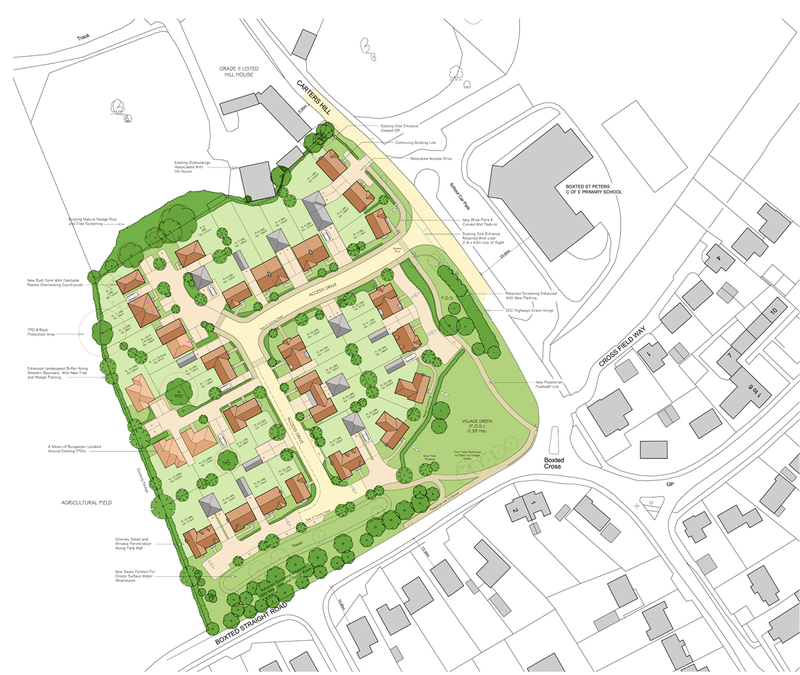 The development site had been included within the adopted ‘Boxted Neighbourhood Plan’ for a new residential development and the opportunity for improvements to the village facilities. 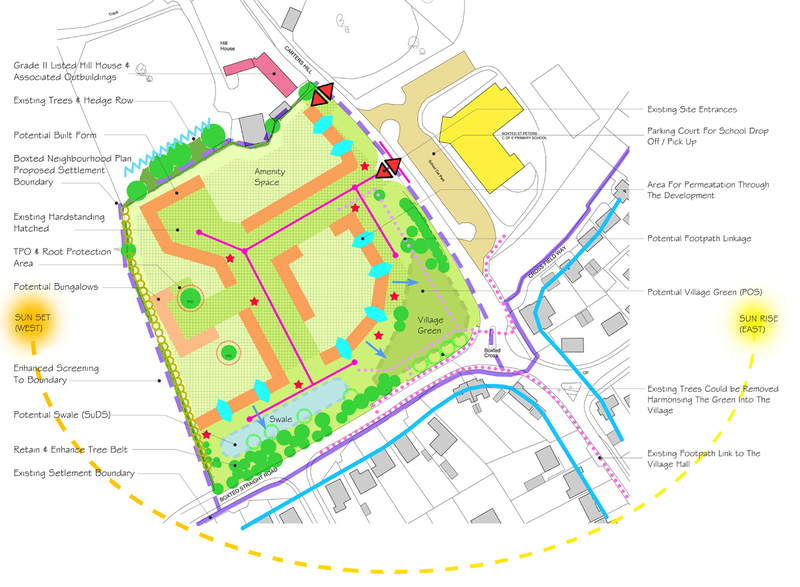 The scheme was welcomed by the majority of local residents as it created a perfect opportunity for young families to flourish and reserves land for use as a village green for local community use.